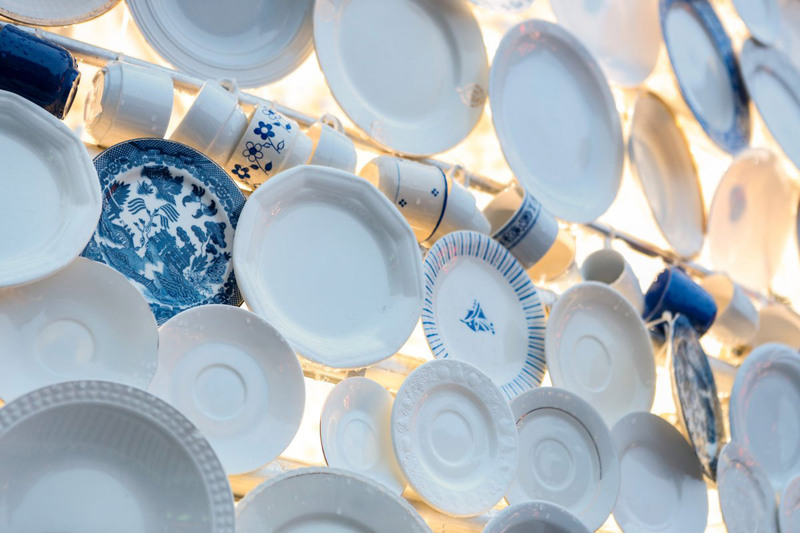 Inge Vanluyd and Stefan Vanbergen from the Belgian studio Mooz have created a Christmas tree using items of crockery donated by the local residents of Hasselt. 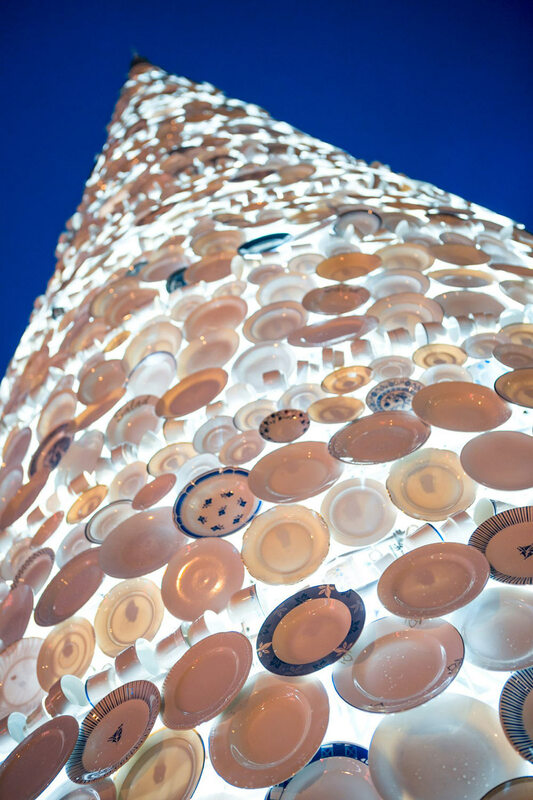 The nine metre ‘taste tree’ consists of around 5,000 items including cups and plates. This wonderful Christmas sculpture is on display in the main square of Hasselt, Belgium, until January 6th, 2013. 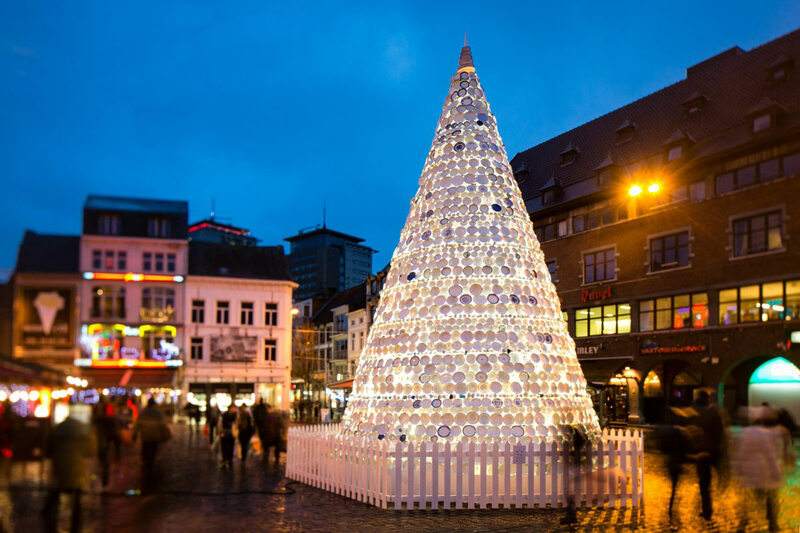 “According to custom, every year at the beginning of December a traditional Christmas tree adorns Hasselt’s main square. 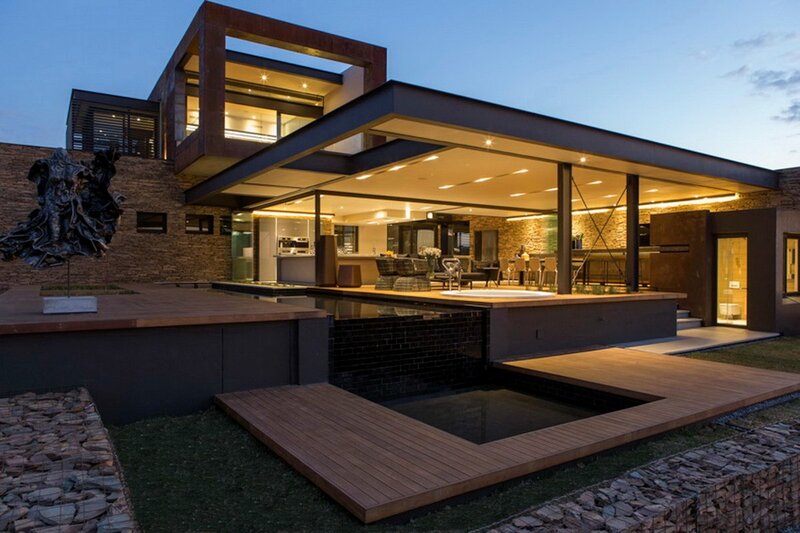 But this year it looks a bit different. 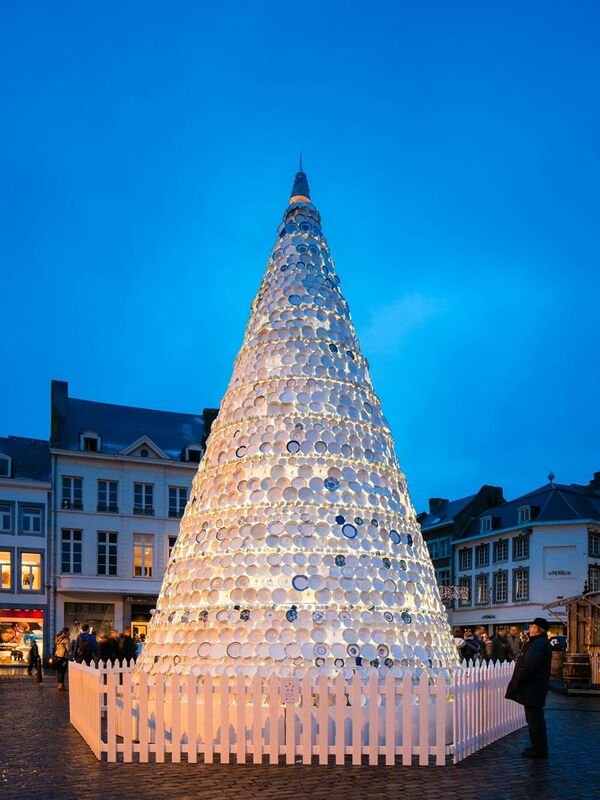 In collaboration with local residents the city of Hasselt has made an impressive ‘Taste Tree’ out of old white plates and cups. 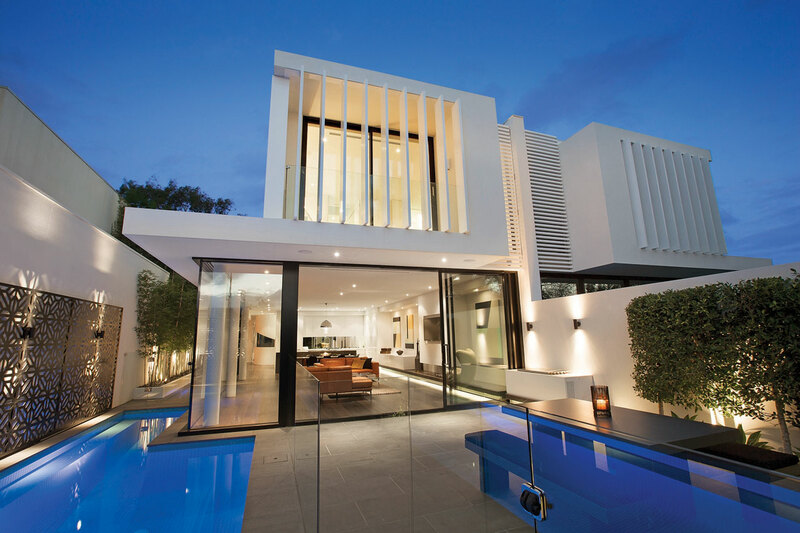 White porcelain with a gold or blue design has also been incorporated. The Christmas tree is 9 metres high and 6 metres in diameter. 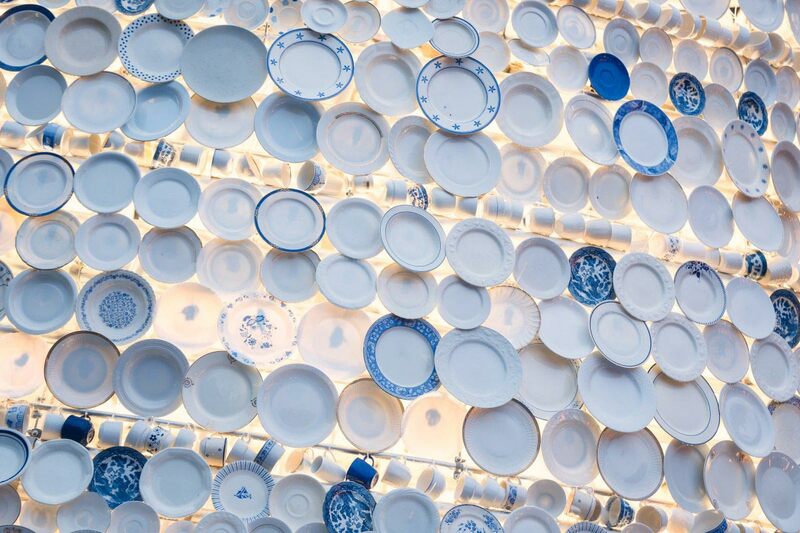 The tree is made up of around 5 000 items of crockery. So who came up with the idea? 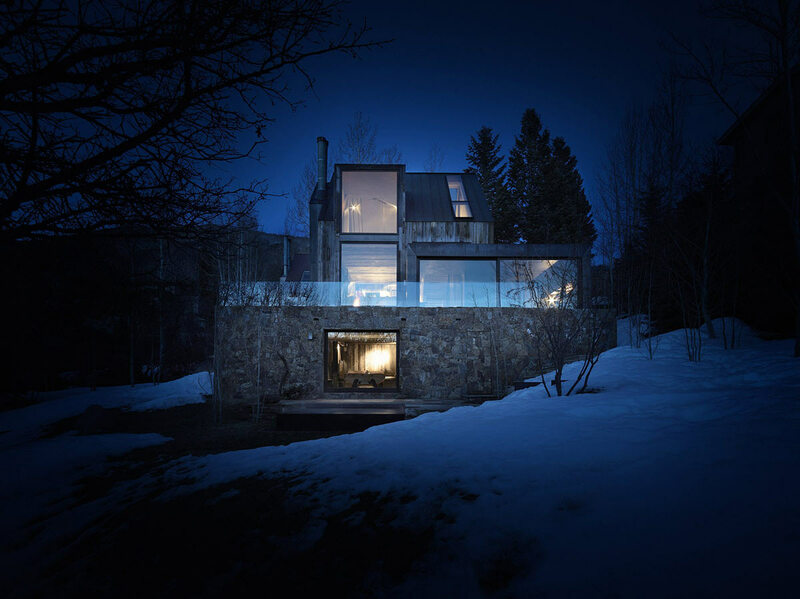 Inge Vanluyd and Stefan Vanbergen of the creative agency Mooz: ‘At home we all have odd plates and cups which just don’t go with anything and as a consequence never find their way out of the cupboard. 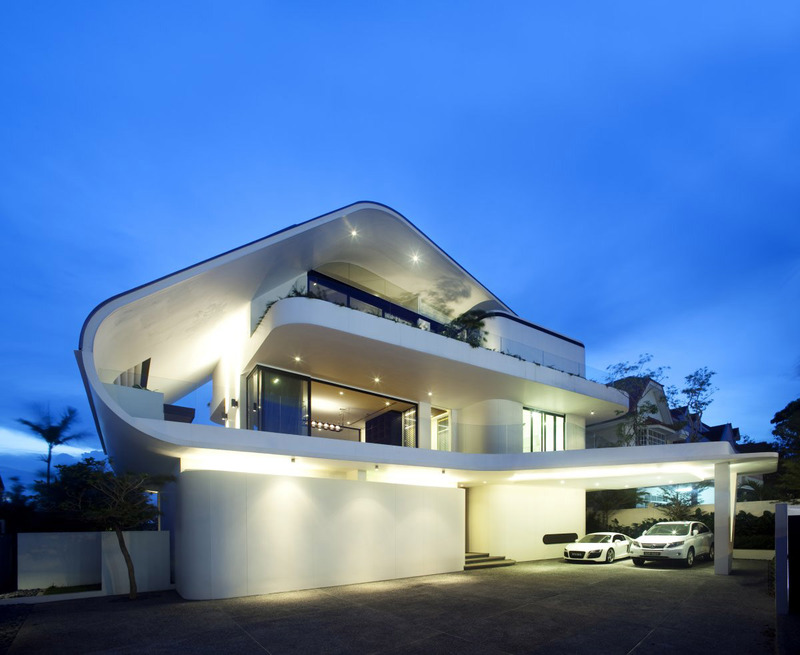 We noticed that friends and family also had ‘spare’ plates hanging around the house. 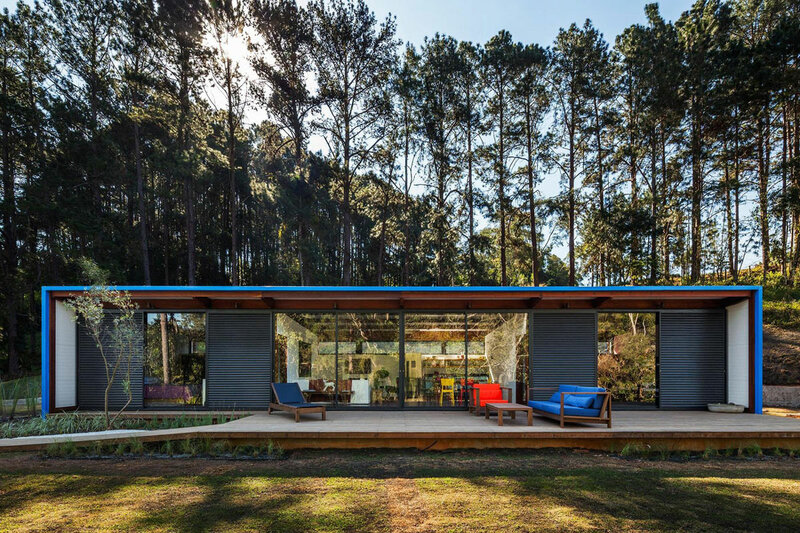 This was enough to get us thinking about a creative destination for these everyday objects. 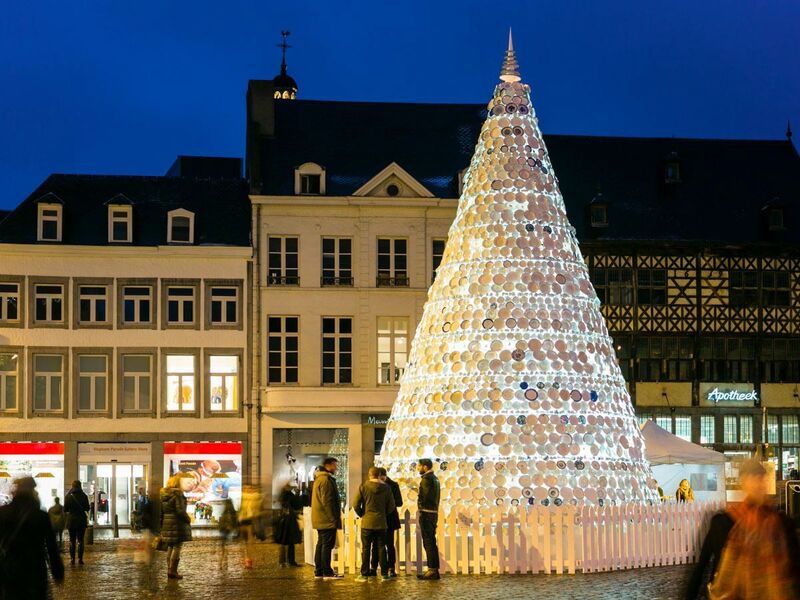 That’s how we ended up with a porcelain Christmas tree in the city of Hasselt (Belgium) ‘The Capital of Taste’. We decorated the tree with objects which would otherwise have remained invisible’.